Mobility experts from leading universities, governments and companies will share their stories and insights. Dr. Philipp Bouteiller is the CEO of Tegel Projekt, a state owned company. He is responsible for redeveloping the inner-city airport Berlin Tegel into Berlin TXL – The Urban Tech Republic, which will soon become the take-off area for Urban Technologies at the heart of the German capital. Here, students, entrepreneurs, industrialists and scientists will learn from each other and work together, building solutions for the city of the future. In the past Philipp has worked as a senior consultant for McKinsey & Company, as an IT-Entrepreneur and independent strategy adviser. He holds a PhD in International Management and Social Psychology from the London School of Economics. Steve Carroll is the Senior Vice President for Strategic Development at RideScout, an Austin-based company working to revolutionize how people view ground transportation. He has been a partner in RideScout since its inception and developed the overall business and development strategy for the ride search engine and mobile application interface. Steve was formally the VP of Operations prior to the company’s acquisition by the Daimler Group in September 2014. Since January 2015, he has also served part time as the COO of OpenBeds Inc, a health care IT start-up that re-engineers processes to improve patient care. Before joining RideScout, Steve served for over 23 years in the U.S. Army in various assignments including multiple combat tours and as an assistant professor at West Point where he taught economics and finance. A member of the original Lyft team, Emily works with researchers, transportation planners, environmental advocates, and transit agencies to advance ridesharing as a sustainable transportation option and document its impacts. She started her career as a transportation policy aide for a U.S. Congresswoman and later served as a financial advisor for municipal infrastructure projects. Emily holds an MPA from the University of Pennsylvania and has been recognized by SAP as a Top 40 Influencer on the Networked Economy. Matt Caywood is a technologist with a passion for transportation and user interface design. He founded TransitScreen to pioneer a new kind of web based signage - displaying real time local transportation information and directions to make it easy for people to move around in a convenient, efficient, and sustainable way. Before founding TransitScreen, he worked on real-time brain-computer interfaces and mapping applications at a national lab. Matt has a Ph.D. in neuroscience from the University of California San Francisco and a B.S. in computer science from Harvard. Kaye became President of Zipcar in February 2014, bringing to her new position nearly two decades' worth of experience at Avis Budget Group (Zipcar's parent company), living in numerous Zipcar cities. Most recently she served as the Managing Director, United Kingdom, where she oversaw all aspects of the Avis Budget Group's UK operations, including customer service and fleet management; two things near and dear to Zipcar's heart. Before that, Kaye was Senior Vice President of International Sales and Marketing for North America. She has held numerous other roles during her career at Avis Budget Group in global partnerships, travel industry relations, sales, and business development. So when it comes to putting people behind the wheel, Kaye is second to none. Kaye received a Bachelor of Business Administration degree from St. Norbert College in De Pere, Wisconsin, and earned a Masters degree in Business Administration from Loyola University in Chicago, Illinois. Tilly Chang serves as Executive Director of the San Francisco County Transportation Authority. The SFCTA conducts long-range planning and allocates local, state and federal funding to SFMTA/Muni, BART, Caltrain, and other transportation agencies to improve transportation in San Francisco and the Bay Area region. Ms. Chang has 20 years of experience, including 2 years with the Transportation Authority as its Executive Director and 10 years as its Deputy Director for Planning. Ms. Chang previously held posts with the World Bank, Metropolitan Transportation Commission, and in the private sector. She holds degrees in Transportation and Economics from M.I.T. and U.C. Berkeley. Dr. Ryan Chin is the managing director of the City Science Initiative at the MIT Media Lab. He conducts research on disruptive urban systems in the areas of urban mobility, live/work, building-integrated agriculture, and big data analytics. Dr. Chin is creating Autonomous Mobility-on-Demand (MoD) Systems – a network of self-driving, shared-use, lightweight electric vehicles (EVs) for cities. He also developed MoD EVs including the GreenWheel, RoboScooter, Persuasive Electric Vehicle, and the CityCar – a foldable, electric, two-passenger vehicle. The CityCar is designed to meet European Union regulations for roadworthy urban EVs. Time Magazine named CityCar the “Automotive Invention of the Year” in 2007. Research on MoD systems led to the MIT Press publication of Reinventing the Automobile: Personal Urban Mobility for the 21st Century by Mitchell, Borroni-Bird, and Burns in 2010. John Henry Clippinger is co-founder and Executive Director of ID3 (Institute for Innovation & Data Driven Design), a 501 C(3) non profit organization (www.idcubed.org) formed to develop and field test legal and software trust frameworks for identity, personal data, data-driven services, infrastructures, and enterprises. He is also a Research Scientist at the MIT Media Lab’s Human Dynamics Group and Chairman of the ITU Working Group on Identity and Authentication. Previously, Dr. Clippinger was founder and Co-Director of The Law Lab (www.lawlab.org) at the Berkman Center for Internet & Society at Harvard University Law School. Dr. Clippinger is the editor with David Bollier of From Bitcoin to Burning Man and Beyond; The Quest for Identity and Autonomy in Digital Society (2014). Marcus Coester is Executive Director at ABSA - Aeromovel Brasil S.A, part of Coester Group. Over the last 30 years the company has developed a disruptive and cost effective transportation technology that uses air pressure propulsion. Marcus is strongly committed to innovation and sustainable initiatives and a recognized leader in the Brazilian industry. He is the Director of FIERGS, the Industrial Federation of Rio Grande do Sul, Vice President at ABIMAQ, the Brazilian Machinery Industry Organization, while also serving as Board Director for various nonprofit organizations and private companies. Spanning academics, business and the arts, Raffaello D'Andrea's career is built on his ability to bridge theory and practice: He is Professor of Dynamic Systems and Control at ETH Zurich, where his research redefines what autonomous systems are capable of. He is co-founder of Kiva Systems (now operating as Amazon Robotics), a robotics company that revolutionized material handling by deploying thousands of autonomous mobile robots in warehouses. In addition to pioneering the use of semidefinite programming for the design of distributed control systems, he went on to lead the Cornell Robot Soccer Team to four world championships at international RoboCup competitions. Paul DeLong is President and CEO of car2go N.A., LLC, a role he assumed in March 2015. Mr. DeLong joined car2go in May 2009 as Chief Marketing Officer, and has been integral in the creation and execution of strategic marketing campaigns across North America. With 17 years of experience, Mr. DeLong has a diverse background with regional sales, product marketing and strategy and engineering for leading Daimler Truck Brands Sterling Truck, Western Star and Freightliner LLC. A graduate from Ohio University, Mr. DeLong currently resides in Austin, Texas. Dan Doctoroff is Chairman and CEO of Sidewalk Labs, the urban innovation company that he founded in partnership with Google. Sidewalk Labs will develop products, services and platforms at the intersection of the physical and digital worlds to help make cities become more efficient, responsive, resilient and greener. Dan was President and Chief Executive Officer of Bloomberg L.P., the leading provider of news and information to the global financial community, until December 2014. During his tenure at Bloomberg, Dan led the company through the most severe financial crisis since the Great Depression by pursuing an aggressive strategy of investment, focused on enhancing the company’s core Terminal product, expanding into enterprise products and services, creating new businesses in government, law and energy, and building the company’s news operations, including its acquisition of Businessweek. Tony Dutzik is senior policy analyst at Frontier Group, a public policy think tank, focusing on transportation, energy and climate issues. He is the lead author of numerous reports on changing trends in travel demand, the rise of technology-enabled transportation tools, and strategies to reduce greenhouse gas emissions from the transportation sector. His work has received national and international media attention, including coverage in the New York Times, the Wall Street Journal, the Financial Times, and the Economist. A former newspaper reporter, he lives and works in Boston. Amanda Eaken is Deputy Director of the Urban Solutions Program at the Natural Resources Defense Council (NRDC). Her recent work has focused on implementing California’s Sustainable Communities and Climate Protection Law (SB 375) to create stronger, healthier, and more resilient communities in California. Ms. Eaken was honored by the San Francisco Business Times as one the Bay Area’s top Forty under 40 Emerging Leaders of 2013 in recognition of her role in securing passage of the nation’s first law to link greenhouse gas emissions with land use and transportation planning. She was the recipient of the inaugural President’s Award for Sustainability Leadership by the Southern California Association of Governments for her work creating a Sustainable Communities Strategy for the Southern California region. Dr. Frank is a Professor in Sustainable Transportation and Public Health at the University of British Columbia and President of Urban Design for Health, Inc. He specializes in the interaction between land use, travel behavior, air quality, and health; and in the energy use, and climate change impacts of urban form policies. He coined the term “walkability” and his work is widely cited: Thompson and Reuters listed him in the top 1% globally as a highly cited researcher (2014 & 2015). He has been studying the effects of neighborhood walkability on travel patterns and sustainability for 25 years and has led over $20 million in funded research and published over 150 peer reviewed articles and the two leading books – Health and Community Design and Urban Sprawl and Public Health on these topics. Dr. Frank works directly with local, regional, provincial or state, and federal agencies to help translate results from leading edge research into practice based tools that provide direct feedback on the health and environmental impacts of alternative transportation and land development proposals. Guy Fraker is the Chief Learning Officer of AutonomousStuff, CEO of SENDEX, and Executive Director of Cre8tfutures. Guy brings a unique perspective both provocative and inspirational, having been on the leading edge of multiple transformations. By sharing actual experiences, Guy’s #1 objective is inspiring clients and audiences to seize the opportunities brought by exponential technologies. As an entrepreneur Guy is dedicated to technological applications that save lives, empower personal independence, and enable sustainability. Guy has been featured in the NY Times, NBC, Silicon Valley blogs, Thinking Highways magazine, Forbes. and an upcoming documentary, “Life on Wheels”. He has also appeared on Bloomberg Finance and National Underwriter webinars, and provided keynotes in the U.S., Canada, India, Korea, and guest lectures at graduate schools around the world. He has been engaged by U.S. and foreign governments, Fortune 100 firms, international trade associations, as well as startup entrepreneurs, venture capital firms, and the X-Prize Foundation. Matt is the founder and CEO of Bridj, which works to create the future of cities through intelligent urban transportation. Matt founded Bridj while in college at Middlebury, and helped grow the company from a three person team to be the nation’s largest provider of pop-up mass transit, while maintaining a focus on pushing the envelope of innovative service delivery. Matt’s work with Bridj has been featured in most major national publications, including the New York Times and the Economist. Matt has a B.A in Biology from Middlebury College where he focused on human biology and systems level access to healthcare. While in college, Matt worked as a Critical Care Paramedic and was appointed to the White House Internship Program during President Obama’s first term. Edward Glaeser is the Fred and Eleanor Glimp Professor of Economics in the Faculty of Arts and Sciences at Harvard University, where he has taught since 1992. He is Director of the Taubman Center for State and Local Government and Director of the Rappaport Institute of Greater Boston. He teaches urban and social economics and microeconomic theory. He has published dozens of papers on cities, economic growth, and law and economics. In particular, his work has focused on the determinants of city growth and the role of cities as centers of idea transmission. He received his PhD from the University of Chicago in 1992. Aaron is an award-winning technology entrepreneur and the co-founder & Chief Conductor of SilverRail Technologies, an innovator in search and transaction platforms for the rail industry. In 2015, SilverRail will power over 1.5bn rail searches and 20M transactions globally. SilverRail’s door-to-door journey planners power rail carriers, retailers, and even large city transit systems, like for Manchester, UK. SilverRail is currently building the world’s first “seamless mobility” platform, enabling door-to-door search + booking, across all modes of transit, within a single platform and ecosystem. Prior to founding SilverRail, Aaron built National Leisure Group (NLG) into one of the world’s largest travel technology companies with over $1bn sales globally. NLG was a pioneer in ecommerce technologies for the cruise and vacation markets. NLG’s products powered most of the global travel agencies, including Expedia, Priceline, and Orbitz. Adam Greenfield is a London-based writer and urbanist. From 2013–2014 he was Senior Urban Fellow at LSE Cities, concentrating his research on the interaction of networked information technology with urban experience, and particularly on the implications of emergent technologies for the construction of public space and the right to the city. In 2010, he founded Urbanscale, a New York City-based practice dedicated to “design for networked cities and citizens.” Between 2008 and 2010, he was Nokia’s head of design direction for service and user interface design; and as lead information architect for the Tokyo office of Internet consultancy Razorfish. He is the author of “Everyware: The dawning age of ubiquitous computing” (2006), “Urban computing and its discontents” (2007) and “Against the smart city” (2013), the last of which constitutes the first part of a forthcoming book entitled “The City is Here For You to Use”. Donald High has over 35 years of experience in designing and implementing technological solutions. Dr. High is a certified Data Scientist with over 230 inventions within different stages of the patent process. His work has primarily been with analytics, robotics, 3D objects (scanning, viewing, and printing), Internet of Things (IoT), head mounted optical displays, and geo-location technologies. His Ph.D. is in the area of Industrial and Organizational Psychology and a M.S. in Computer Information Systems. Colin K. Hughes works at the crossroads of urban planning, sustainable transport, and international development as Director of National Policy & Project Evaluation at the Institute for Transportation & Development Policy. Colin co-authored ITDP's bikeshare planning guide and the planning for the Guangzhou bike-sharing system. In the past, Colin has worked with development banks, shared mobility companies, rapid transit authorities, and private sector consultants. Nigel Jacob is the Co-founder of the Mayor’s Office of New Urban Mechanics, a civic innovation incubator and R&D Lab within Boston’s City Hall. Nigel works to develop new models of innovation for cities in the 21st century. Prior to joining the City of Boston in 2006, Nigel worked for and launched a series of technology start-ups in the Boston area. He is also a board member at organizations such as Code For America and coUrbanize, and is an Executive-in-Residence at Boston University. Nigel’s work has been written about extensively in magazines such as Wired, MIT Technology Review, Fast Company and books including The Responsive City, by Stephen Goldsmith and Susan Crawford and Smart Cities by Anthony Townsend. This ground breaking work has earned Nigel a number of awards including being named a Public Official of the year in 2011 by Governing Magazine, a Whitehouse Champion of Change and the Tribeca Disruptive Innovation award for 2012. Mitchell Joachim, Co-Founder of Terreform ONE, and an Associate Professor at NYU. Mitchell formerly was an architect at the offices of Frank Gehry and I.M. Pei. He is a TED Senior Fellow and has been awarded fellowships with Moshe Safdie and Martin Society for Sustainability at MIT. He was chosen by Wired magazine for "The Smart List” and was selected by Rolling Stone for “The 100 People Who Are Changing America”. Mitchell won many awards including AIA New York Urban Design Merit Award, 1st Place International Architecture Award, Victor Papanek Social Design Award, Zumtobel Group Award for Sustainability. He's featured as “The NOW 99” in Dwell magazine and “50 Under 50 Innovators of the 21st Century" by Images. He's coauthored two books, "Super Cells: Building with Biology" and "Global Design: Elsewhere Envisioned". He earned: PhD, MIT, MAUD, Harvard University, MArch. Columbia University. Under Johnson’s leadership, Enterprise Holdings operates Enterprise CarShare as an extension of its unique neighborhood network, which includes more than 5,500 fully staffed offices located within 15 miles of 90 percent of the U.S. population. These convenient and accessible offices reflect the company’s longtime focus on offering sustainable local transportation alternatives, including Enterprise Rideshare, the country’s second-largest vanpooling operation; Zimride, the online ride-matching program; and other Virtual Car® options. Johnson has overseen Enterprise CarShare’s retail expansion with the acquisitions of PhillyCarShare, Mint Cars On-Demand, IGO Car Sharing, AutoShare, Occasional Car, City Car Club, and Carpingo. Also under Johnson’s leadership, Enterprise has purchased Metavera Solutions Inc., a leading provider of car-sharing technology, and announced partnerships with the CarSharing Association, Nissan and Washington D.C. Metro. Sertac Karaman is the Charles Stark Draper Assistant Professor of Aeronautics and Astronautics at the Massachusetts Institute of Technology (since Fall 2012). He has obtained B.S. degrees in mechanical engineering and and in computer engineering from the Istanbul Technical University, Turkey, in 2007, an S.M. degree in mechanical engineering from MIT in 2009, and a Ph.D. in electrical engineering and computer science also from MIT in 2012. His research interests lie in the broad areas of robotics and control theory. In particular, he studies the applications of probability theory, stochastic processes, stochastic geometry, formal methods, and optimization for the design and analysis of high-performance cyber-physical systems. Gabe Klein is the former DOT director under Mayor Rahm Emanuel’s administration in Chicago and former Director of the District DOT under Mayor Adrian M. Fenty. Before working in local government, Klein worked at a few startups, including Zipcar. In 2015, in addition to his other roles, he joined Fontinalis Partners as an SVP (Special Venture Partner) on their new fund. Klein continues to advise a number of technology/transportation startups including Bridj, where he provides leadership on strategy. He is on the board of NACTO and Streetsblog. Gabe just finished his first book, Start-Up City, Inspiring Private and Public Entrepreneurship, Getting Projects Done, and Having Fun. Greg Lindsay is a senior fellow of the New Cities Foundation — where he leads the Connected Mobility Initiative — and a visiting scholar at New York University’s Rudin Center for Transportation Policy & Management. He is also a contributing writer for Fast Company, a non-resident senior fellow of The Atlantic Council’s Strategic Foresight Initiative, and co-author of Aerotropolis: The Way We’ll Live Next. His writing has appeared in The New York Times, The Wall Street Journal, Bloomberg BusinessWeek, Harvard Business Review, and The Financial Times, among many other publications. Greg is a two-time Jeopardy! champion (and the only person to go undefeated against IBM’s Watson). Paul is Communications Director at Mobility Lab — “the source of information and tips for advocates to increase awareness and education about more and better transportation options for people.” Prior to this, he was Climate Change Communications Director at The Nature Conservancy and Director of Media Relations at the World Resources Institute. He has also been a daily newspaper journalist at various outlets in the St. Louis area; a freelancer for the Chicago Tribune, National Geographic, and other media organizations; and a writer at the National Association of Counties. Paul has a master’s from Georgetown University and a bachelor’s from Southern Illinois University. David Mahfouda, Founder and CEO of the smart taxisharing company Bandwagon, started thinking about social mobility on the Transsiberian railroad. He has since become a pioneer of the networked-vehicle industry, having spoken at The Open Planning Project, Portland State University, Transportation Transformation, Advanced Energy 2012, Parsons School of Design and Google. David has won support from the New York State Energy Research and Development Authority, Verizon Powerful Answers Award in Sustainability, and Ford’s Smart Mobility program. Prior to Bandwagon, David co-founded the Very Polite Movers and the Fixers Collective. David holds a master’s in product architecture from Stevens Institute. Jeff Maltz is the CEO and co-founder of SilverRide, the award-winning, pioneering transportation platform helping seniors and those with disabilities get things done, socialize and have enriching life experiences either through its own cars and drivers, or via partner organizations around the world. Jeff also owns Pop-A-Lock of Las Vegas and the San Francisco Bay Area, the largest locksmith and roadside assistance company in those areas. Previously, Jeff led the major account sales division for Texas Instruments for Northern California, and was ranked the top sales person for TI as an individual contributor. Jeff received an MBA from the Haas School of Business at the University of California, Berkeley, and a BS in Computer Science and BA in English Literature from Washington University in St. Louis. Peter Marx is the Chief Technology Officer for the City of Los Angeles. He was the first Chief Innovation Technology officer for the city and was appointed by Los Angeles Mayor Eric Garcetti on February 4th, 2014. His tasks include driving technology strategy across the City's departments and agencies, working with the local and worldwide technology industries, and using data to upgrade performance throughout City government. Prior to coming to the Mayor's Office, Marx was Vice President, Business Development, for Qualcomm Labs where he started the Gimbal initiative as part of his overall work on driving the development of new technologies ranging from augmented reality to context awareness. Marx also holds the position of Adjunct Professor at the University of Southern California. Dr. Shomik Mehndiratta is the head of transport research and policy initiatives at Uber Technologies. He is a transport economist and planner with prior stints at the World Bank and in consulting. Shomik is based in Washington DC, holds a PhD from the University of California at Berkeley and a eMBA jointly from INSEAD and China’s Tsinghua University. Victor Mendez has served as the 20th United States Deputy Secretary of Transportation since July 30, 2014. As Deputy Secretary, Mendez is the Department of Transportation’s chief operating officer, responsible for day-to-day operations of the 10 modal administrations and the work of more than 55,000 USDOT employees nationwide and overseas. Mendez is focused on ensuring the safety and efficiency of America’s transportation system, which plays a key role in economic development. Transportation activist, researcher, TED speaker and professional hitchhiker Jenny O'Brien investigates unconventional approaches to ride sharing. She co-authored "Community Rideshare for a Small City: The Lawrence OnBoard Prototype Program" detailing her roadside ridesharing research. The project was further developed by Carma Technology in 2014 as CarmaHop and was the subject of her talk at the 2014 TEDxKC event. A summary of the project and its results can be found at www.hopista.com. O'Brien has presented for the American Planners Association, at the National Rural and Intercity Bus Transportation Conference and the International Paratransit Conference. O'Brien is currently collaborating with GoGo Rideshare on a fast and easy app for carpooling. Timothy Papandreou serves as Director, Office of Innovation of the San Francisco Municipal Transportation Agency. The Office supports the city’s economic competitiveness through emerging transportation policy and innovative technology partnerships to enhance the customer experience and optimize the public rights-of-way. With over 15 years experience, Timothy is a key thought leader on shared-use mobility, complete street pilots, and integrating connected and autonomous vehicles into city transportation networks. His previous positions include head of Strategy and Policy for SFMTA, policy manager at LA Metro, local and state government, start-ups and consultancy firms. He holds degrees from R.M.I.T. and U.C. Los Angeles where his master’s thesis on car sharing and related work won several awards. He walks the talk and has been car-ownership free in Los Angeles and San Francisco. Janette Sadik-Khan is a Principal at Bloomberg Associates and a former Commissioner of New York City’s Department of Transportation (2007-2013). Sadik-Khan is internationally recognized for her expertise in transportation issues, public policy development and innovative finance; she has implemented an ambitious program to improve safety, mobility and sustainability throughout NYC, and ensured a state of good repair on the city's roads, sidewalks and bridges. Sadik-Khan oversaw a series of innovative projects, including creating more pedestrian space in Times Square and along Broadway from Columbus Circle to Union Square, the planning and launch of the nation's largest bike share program, the addition of nearly 400 miles of bicycle lanes and the installation and design of more than 60 plazas citywide, and the publication of a Street Design Manual and Street Works Manual, which defined new standards for creating more durable and attractive streets. Max founded Studio Schwitalla, Berlin in 2012. The Studio has grown to a small team of international designers, researchers and scientists whose mission is to blur the boundaries between architecture and urban design. The experimental work between the two disciplines results in concepts for entire neighborhoods as three-dimensional structures and buildings as urban environments. The driving passion at Studio Schwitalla is the pursuit of future urban mobility. Research partners include multinational mobility experts such as Schindler Elevators and car manufacturer Audi. The team’s ultimate goal is to re-negotiate spaces for mobility and immobility in order to generate urban environments centered on human needs rather than those of machines. Bob Sheehan directs the Multimodal ITS Research and Connected Vehicle - Vehicle to Infrastructure efforts. He joined the Federal Highway Administration in August 2008 and managed the U.S. Department of Transportation's (USDOT) Integrated Corridor Management (ICM) Initiative and Active Transportation and Demand Management program until 2013 when he moved to the ITS-JPO. Prior to joining the FHWA, Mr. Sheehan spent 8 years at the Virginia Department of Transportation (VDOT), Northern Region as the Field Operations Manager for the Smart Traffic Signal System and as the Freeway Operations Engineer for the Smart Traffic Center. He received his Professional Engineer license in 2004 and his Professional Traffic Operations Engineer certification in 2008. He holds a Master's Degree in Transportation Systems from Virginia Tech and a Bachelor's Degree in Civil Engineering from West Virginia University. Douglas Shinkle is the Transportation Program Director in the Environment, Energy and Transportation Program at the National Conference of State Legislatures (NCSL). Mr. Shinkle has worked for NCSL for ten years on transportation, traffic safety, shared mobility, healthy communities, natural resources and land-use issues. During his tenure at NCSL, Douglas has written numerous comprehensive, well-regarded publications on topics ranging from traffic safety, transportation reform, healthy communities, aging in place, active transportation, transit and other topics. He has presented at a number of national summits and legislative committees on his areas of expertise. Douglas is NCSL’s expert on shared mobility, and has spent considerable time over the past year staying apprised of current legislative trends and how these services may impact the future of transportation in the U.S. He has spoken on shared mobility issues at a number of gatherings. Gerry Tierney, an Associate Principal at Perkins + Will, has 30 years of experience in architecture and urban design, with a focus on housing and urban design projects that have required deep expertise in entitlement issues and regulatory procedures. The proposed Treasure Island and Mission Rock mixed-use developments in San Francisco are good examples of this. In addition Gerry has been involved in the study of evolving urban mobility options and their potential impacts on the urban public realm. This work has include his involvement in Mobility and the City’s REDCAR project, UC Berkeley’s TSRC Future of Transportation Workshop, being a jury member at a number of PACE’s annual student mobility competitions, being an outside reviewer of OEM’s urban mobility concept prototypes, as well as presenting at conferences addressing urban mobility. Dr. Anthony Townsend is an internationally-recognized expert on urbanization and digital technology. He is an advisor to Sidewalk Labs, a startup whose mission is to improve life in cities for everyone through the application of technology to solve urban problems. In 2009, he founded Bits and Atoms, a consultancy that works with industry, government and philanthropy on economic development, digital placemaking, and strategic technology forecasting. His first book, Smart Cities: Big Data, Civic Hackers and the Quest for A New Utopia was published by W.W. Norton & Co. in 2013. Vincent Valdes has been the Associate Administrator for Research, Demonstration, and Innovation at the Federal Transit Administration for over seven years. As the AA for FTA’s research office, Vincent manages an office of program managers, transportation specialists and engineers who work on FTA’s transit research program. The program provides a forum for transit research at the national level and facilitates the development of transit technologies and methodologies that support national transportation goals. In his 30 years as a senior manager in the public and private sector, Vincent has led innovation in various fields including transportation research, urban and regional planning, aerospace engineering, neighborhood economic development, environmental protection, and international development. Vincent graduated with a degree in Aerospace Engineering from Boston University and received a Master’s of Science in Urban Planning from Columbia University. Zack Wasserman is the VP of Strategy at Via, where he oversees the licensing of the company's technology to public transit agencies and other transportation providers. Previously, he was the Managing Director of Pacific Stainless, a global manufacturer and distributor of specialty raw materials. In December of 2015, Zack expects to receive a Ph.D. in History from Yale University, where his dissertation explores the origins of entrepreneurial capitalism on the San Francisco Peninsula during the Cold War and its impact on American politics. He holds multiple master's degrees from Yale and a BSFS from Georgetown University's School of Foreign Service. At Transportation for America, Erika runs the organization’s outreach program, which includes enhancing relationships with external partners, identifying trends and opportunities for new alliances, and developing strategies for raising revenue, among other issues. Erika brings over ten years of outreach and legislative experience to the T4America team, building on her past experience running the transportation program for the National Association of Regional Councils and serving members of both the US House and Senate. Erika has a Masters degree in Corporate and Nonprofit Communication from The Johns Hopkins University. Nicolas Zimmer is an innovation policy strategist and founder with a legal and engineerial background. Since the beginning of 2013 Nicolas is CEO of Technologiestiftung Berlin (Technology Foundation Berlin), a non-profit foundation and think-tank, supporting science and technology and pursuing political agenda-setting for technology-driven topics in Berlin. Before joining the Technologiestiftung Berlin, Nicolas has worked from 2006 to 2011 as an attorney with a focus on intellectual property and has subsequently been appointed as Permanent Secretary at the Berlin Senate Department for Economics, Technology and Research. A great deal of Nicolas’ interest and strength lies in coding and entrepreneurship. He's actively involved in the German Startups Association and the Open Knowledge Foundation Germany. 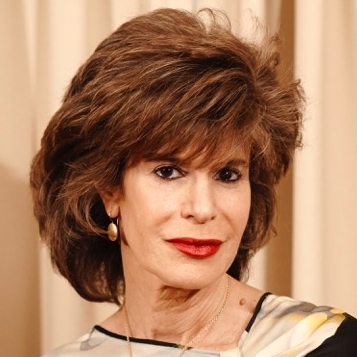 Shoshana Zuboff is the Charles Edward Wilson Professor of Business Administration at the Harvard Business School (emerita), where she joined the faculty in 1981. One of the first tenured women at the Harvard Business School, she earned her Ph.D. in social psychology from Harvard University and her B.A. in philosophy from the University of Chicago. She is a frequent contributor to the Frankfurter Allgemeine Zeitung and has been a featured columnist for BusinessWeek.com and Fast Company. Books include the influential treatise, The Support Economy: Why Corporations Are Failing Individuals and the Next Episode of Capitalism (Penguin 2002), co-authored with Jim Maxmin, and the celebrated classic, In the Age of the Smart Machine: The Future of Work and Power (Basic Books 1988). Professor Zuboff developed and led the path-breaking educational experience Odyssey: School for the Second Half of Life at the Harvard Business School.